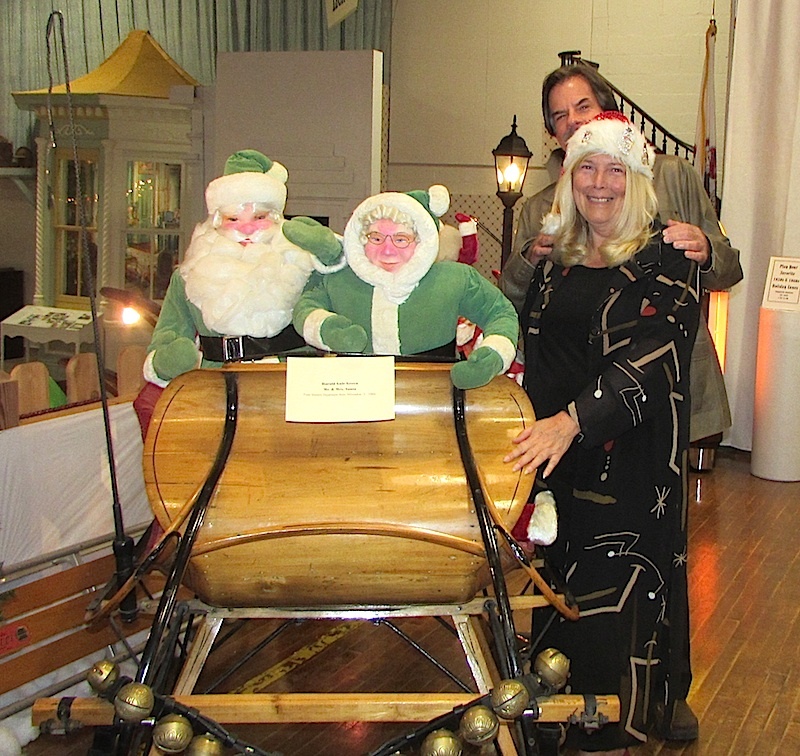 If Dave Harms had his druthers, he'd test drive the 1920s Norwegian sled first – complete with a wood steering wheel on an X-shaped iron support and a lever that supposedly helped the passenger or passengers stop. "I'd like to know what would happen when I go to hit the brake on it," Harms said with a laugh. "It's pretty heavy, but like an old Cadillac: It' might take awhile to wind up, but once it gets going don't stand in front of it." 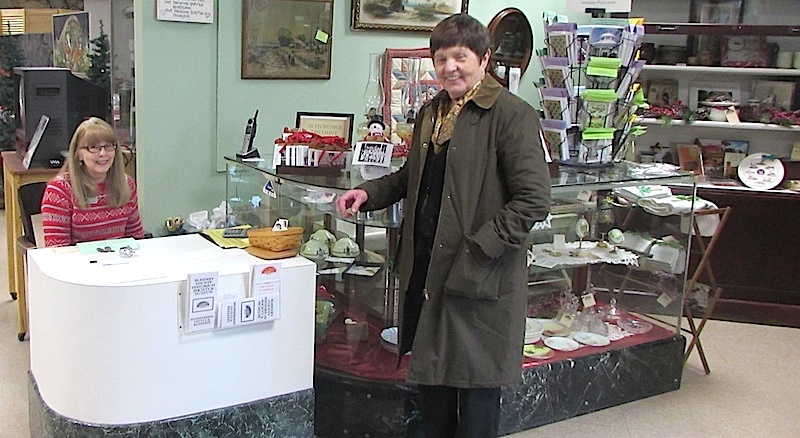 Harms, a nurseryman from Crystal Lake, has been a member of Golden Glow of Christmas Past, a worldwide club for collectors of antique Christmas items, for nearly 40 years. 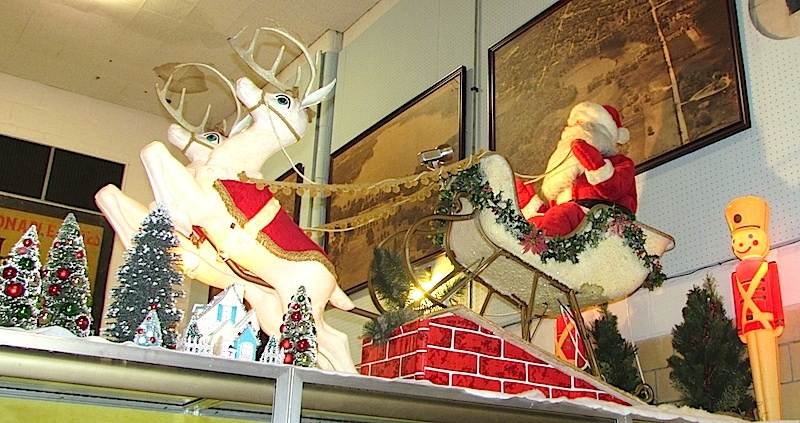 He has been collecting Christmas memorabilia since 1980, including an estimated 30 sleds – many of which are on display at the McHenry County Historical Society Museum. 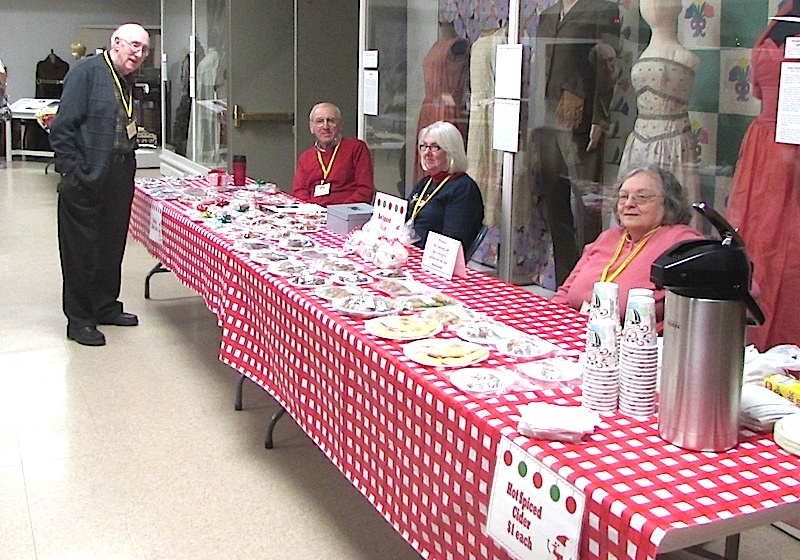 MCHS is hosting a month-long quilt contest and show, Tuesday through Friday, at the museum, 6422 Main St. in Union. 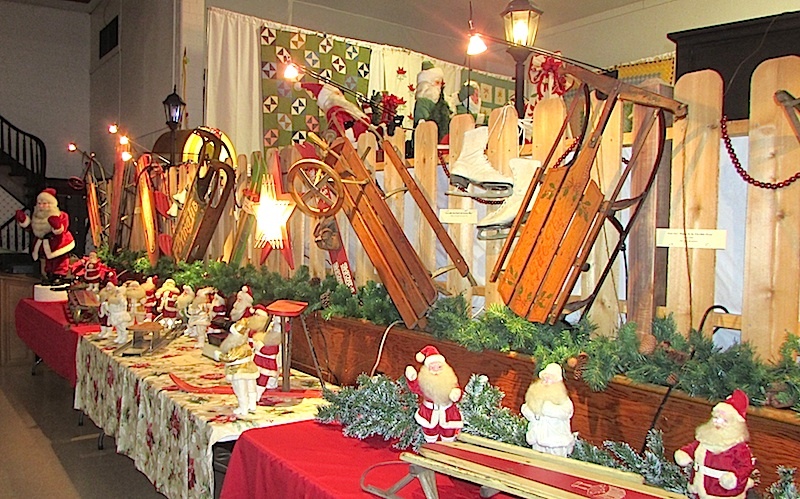 The stage and exhibit halls are decked out with Santas, bells, holiday china and a Christmas-themed display of handmade quilts titled "Rock Around the Quilted Tree." 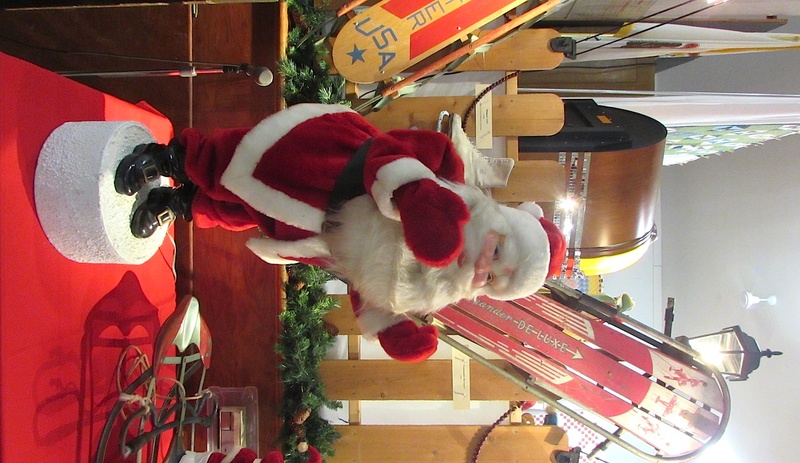 Play some vintage holiday songs on a jukebox or get up close to sleds from yesteryear including the "Bobster USA," manufactured in the 1960s by the Garten Toy Co. of Sheboygan, Wis.; a "Flying Jib" from 1880; and a "Fire Fly" from the 1920s made by garden tool manufacturer, the S.L. Allen & Co. 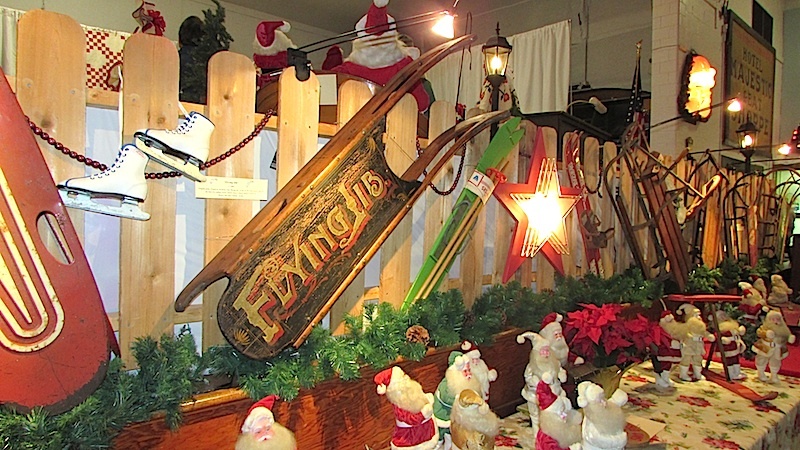 The company's namesake patented his "Flexible Flyer" sled 1889 and manufactured it in Pennsylvania under its Planet Jr. line. But undoubtedly the sled (actually more of a skateboard with runners and a handle) having the most local connection, is a 1920s' wooden model manufactured by Hunt, Helm & Ferris' toy division (Cannonball) up in Harvard. It still boasts the words "Beat 'Em All." No information about whether the "all" included those brave enough to ride it. 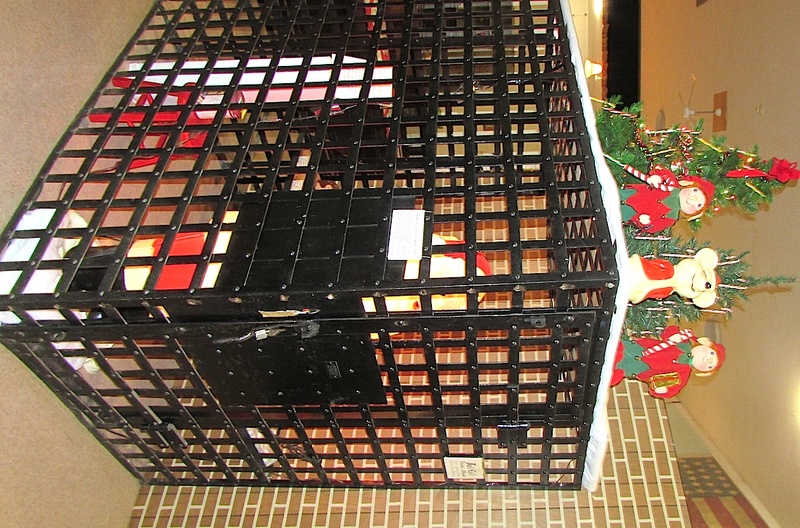 Other items interspersed amid the quilts are Christmas bubble trees, a life-sized lighted Santa and some motorized window displays from the Shuster Department Store in Milwaukee and Marshall Fields in Chicago. Both were made by the Harold Gale Display Co. from Kansas City, Mo. 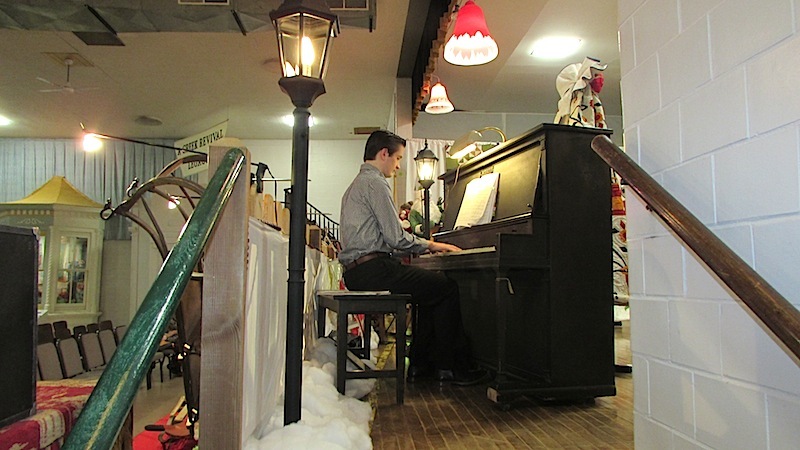 The display is available for viewing Tuesday through Friday, throughout December, with the exception of Dec. 23 and 30. Regular museum admission applies to non-Society members. For details visit www.gothistory.org or call 815-923-2267.